A Question of Blood, is a crime fiction, written by the British (Scottish) author Ian Rankin, best known for his John Rebus series. 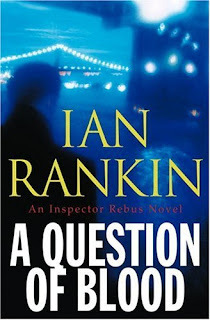 A Question of Blood is the sixteenth book featuring Detective Inspector John Rebus. The story takes place in Edinburgh, the capital of Scotland. John Rebus is in trouble, Martin Fairstone, a petty criminal, is dead, his house was burnt, and the last person to be seen with him was Rebus. Rebus already had a scuffle with him as Fairstone was assaulting his colleague, Detective Constable Siobhan Clarke. Another evidence against Rebus was that his hand was burnt and Rebus's claim was that he had scalded his hand. What made people think that he could have committed the murder is his background and personality. He smokes and drinks too much and keeps a lot of secrets to himself. Nobody knows anything much about him. He had separated from his wife years ago and his daughter was living in England. Since he was totally detached, people always had a suspicion that he may turn out doing something drastic any time. Lee Herdman, an ex SAS (Special Air Services) personnel, walked into a school, brandishing a pistol. There were four casualties. Three dead, one injured. Anthony Jarvies, the son of a lawyer, Derek Renshaw, the son of Rebus' cousin and James Bell (injured, not dead), the son of a Member of the Scottish Parliament (MSP), Jack Bell and the last one at whom he pulled the trigger was himself. He was also dead. There was no mystery in this, the only question remaining was “Why?”. Why did a retired personnel have to go on a shooting rampage and then kill himself? Revenge? Was he hired by someone else to take revenge? The question “Why?” led to so many other questions. Although, as per police procedures, Rebus is not allowed to investigate since a relative is involved, however, this was also one of the many other unknown things about Rebus. So, Rebus was to investigate this case and win a personal battle, by finding the reason why his nephew was killed and punishing the other people behind it and at the same time, he had to clear him off his charges, regarding the Martin Fairstone case. This is a good book, good language, good character description and it did live up to its tags, that is “crime”, “mystery” and “thriller”. But I also felt that this book was a little too dragging with its sub plot being too boring. The way some characters were closed out was also very poor. But for these, it is a good book and I give this is a rating of 7 / 10. 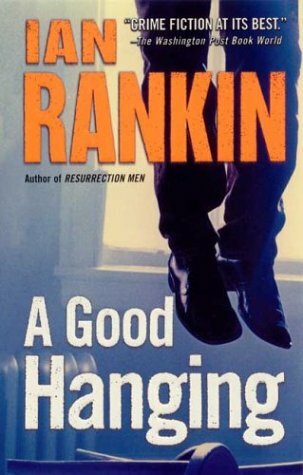 A Good Hanging and Other Stories is a collection of short stories written by the British crime novelist Ian Rankin, famous for his John Rebus series. This is also a novel which features John Rebus. The book has twelve short stories. John Rebus is a police Detective Inspector based in Edinburgh, addicted to smoking and drinking. He is an officer who has various contacts around the town, but is not very outspoken. In fact, nobody knows anything much about him. All the stories in this book happen in Edinburgh. Most of the stories are based on murder or some other crime. Most of the short stories were very good. But there were several demerits. Till the story Good Hanging, the stories were interesting but after that, the author didn't have much ideas and added lousy stories just to increase the number of pages. After the Good Hanging, only one out of the six remaining stories are good. One of the stories did not have anything related to crime. The language and description of the author is good but that is something expected from him. I'd say that this is a reasonable book, but for the second half, because of which the rating for this book falls from 8 to 6. 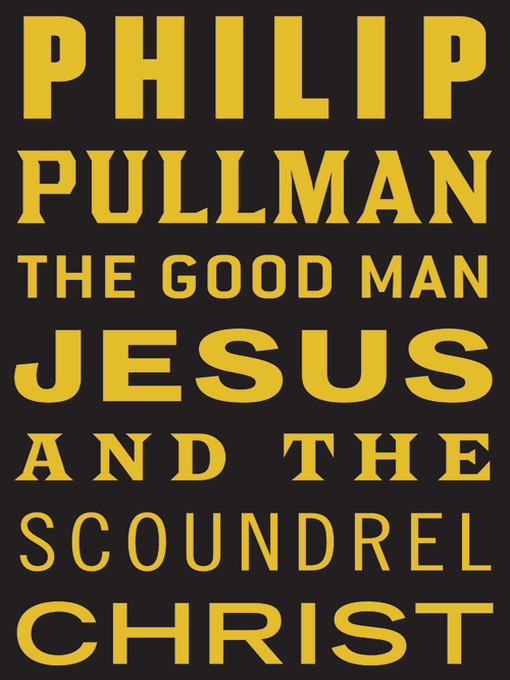 The Good Man Jesus and the Scoundrel Christ is a book written by the British author Philip Pullman, famous for his “His Dark Materials Trilogy”. The author is also said to be one of the most outspoken atheists in his field. The book was released in 2010 and has drawn in quite a few controversies. Mary, gives birth to twins, boys, namely, Jesus and Christ. During their childhood, Jesus was a mischievous, troublesome kid and Christ had to save him on more than a couple of occasions from getting into trouble. On the other hand, Christ was more calculative person and was obedient towards his parents and was more responsible. He was also well read and was highly knowledgeable. Despite the thoughts of the others, Christ always believed that Jesus was a good man and true to his beliefs, there was a sudden change in Jesus' personality, inspired by John the Baptist. Eventually, Jesus left his family and didn't care about his brother Christ. Jesus started going from place to place, giving lectures and healing people, with no instrument but faith. Naturally, people from the synagogue did not like him and tried to test him every time. When Jesus gave his Sermon on the Mount, he promised the people that the “Kingdom of God” is coming soon, where the meek will inherit the earth, sinners won't be permitted. On the other hand, Christ also had a very important task. A stranger, whom Christ believes is an angel, gives him the task of noting down every speech of Jesus, without his knowledge, thereby, becoming The Kingdom of God's historian. Eventually, the task of Christ becomes much more complicated and the story is about him trying to accomplish the tasks given by the stranger. 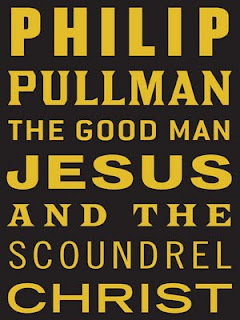 Do not judge a book by its title, that is what I've got to say about this book. It was a well narrated story. There was nothing so special about the language of the book but I liked the simplicity in his writing, thereby, enabling people from any age group being able to read this book. I think people who have read the Bible maybe able to give a better opinion about the book but this is all that I've got to say about this. I'd give this book a rating of 7 / 10.